Are there any other java junkies in the house??? WHOOT WHOOT. As mentioned previously mentioned here, I love coffee. I have been drinking coffee since I was in sixth grade, which I’m sure some people would say isn’t that great for you but I was fully grown at that point and I seem to have turned out alright. We were just a coffee loving house. I remember my parents savoring that first cup in the morning… it was a ritual. My love of coffee grew exponentially when I discovered Starbucks, especially White Chocolate Mochas (if you’ve read the About section of this blog, you will recall that I was a very heavy teenager… I think whole milk WCMs may have contributed in some way). Fun fact… I also worked at Starbucks while in high school. That’s right… BARISTA BABY! But I digress to the purpose of this post, and it is really two-fold. 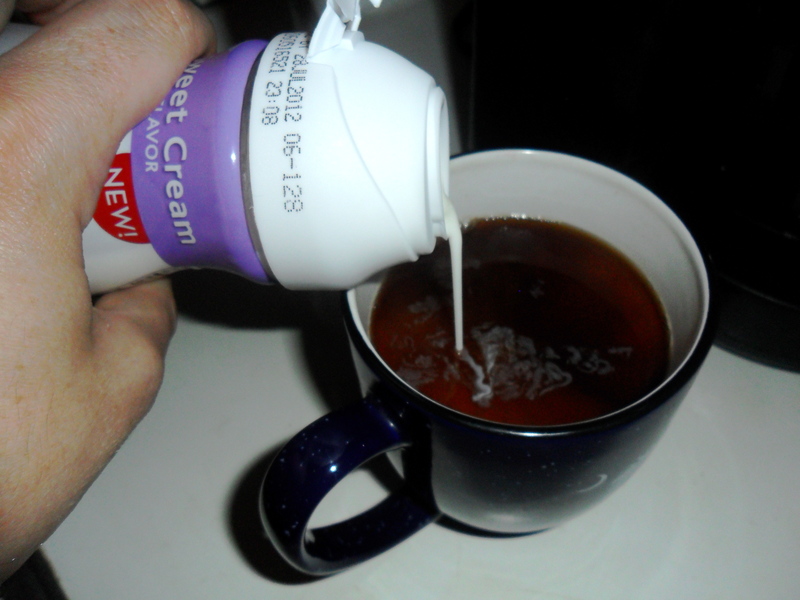 First, I love the taste of flavored coffee beverages but don’t want a ton of excess fat and calories in my diet. I love to eat so I really make an effort to save my calories for consumption in food not drink. Second, as you may have noticed from the general theme of this blog, my budget is really tight. I simply cannot afford to buy coffee from a coffeehouse every single day. I occasionally grab a drink from a coffeehouse as a treat on a Saturday or Sunday, but during the week I can’t afford such luxuries. 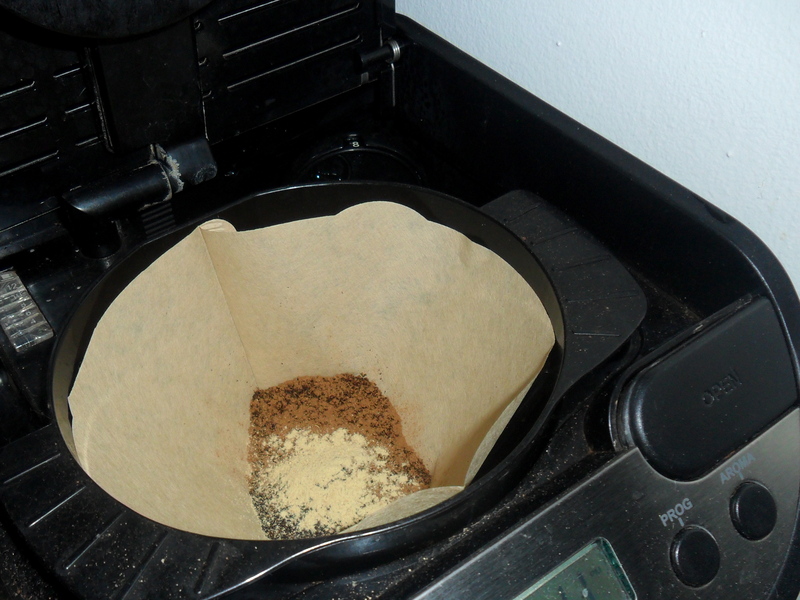 So how do you make delicious coffeehouse style coffee that is both budget- and diet-friendly? I give you my at-home coffee system! Ingredients are very basic. 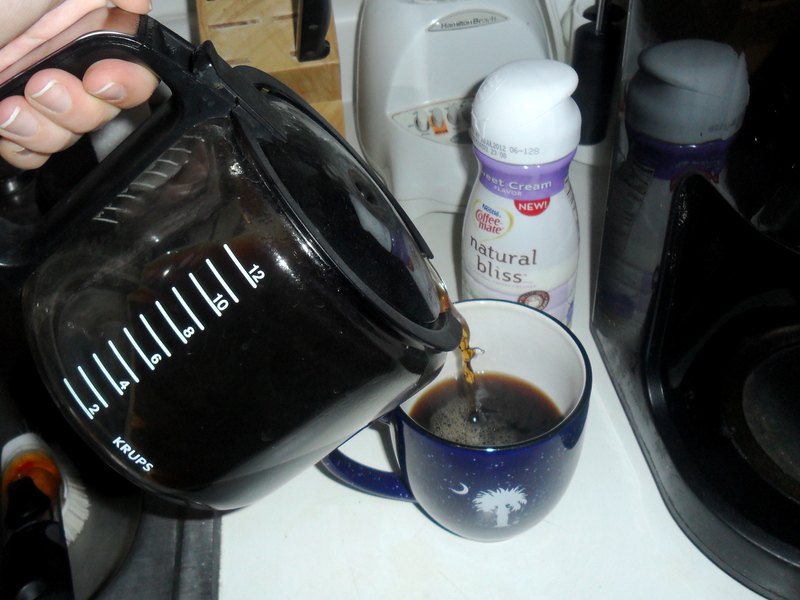 This is a hand-me-down coffee pot from my parents (Thanks Mom & Dad!). I buy basic ground Columbian coffee. 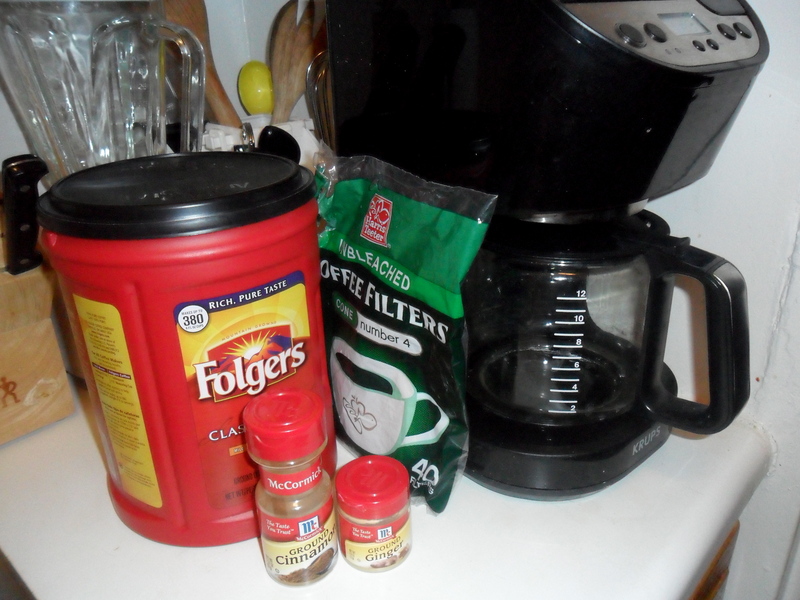 I happen to be drinking Folgers at this time, but I sometimes change depending on what is on sale at the grocery store. If I am lucky enough to bum a trip to Costco off someone with a membership, I buy the big container… SUPER cheap. I really don’t like flavored coffees (like Hazelnut) brewed at home, they just don’t taste the same / right to me! My “at-home coffee” world changed when I realized that I could mix different spices in with the coffee grounds to get that delicious coffeehouse flavor! 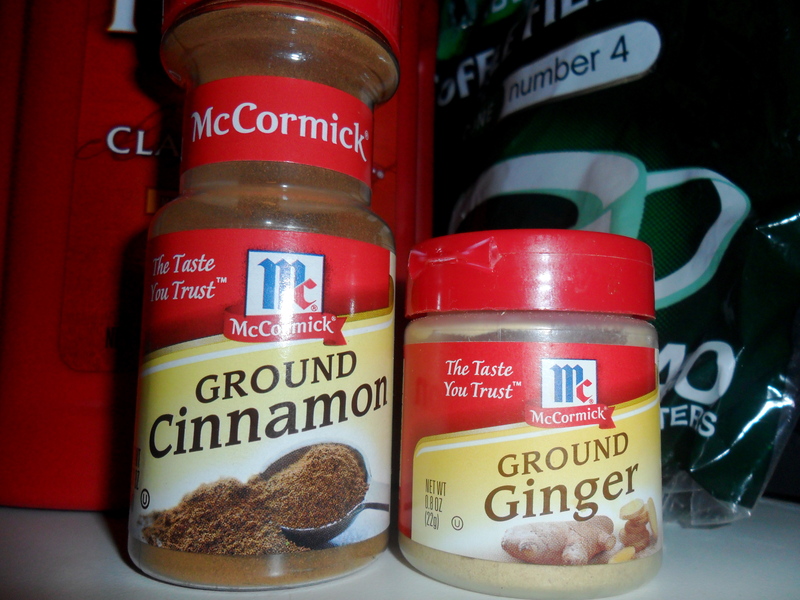 I am currently crushing on a combination of ground cinnamon and ground ginger. I started using just cinnamon because one of my favorite breakfast places in DC (Booeymongers) has cinnamon coffee and it is THE BOMB. The ground ginger gives it a little more of a pumpkin pie feeling. 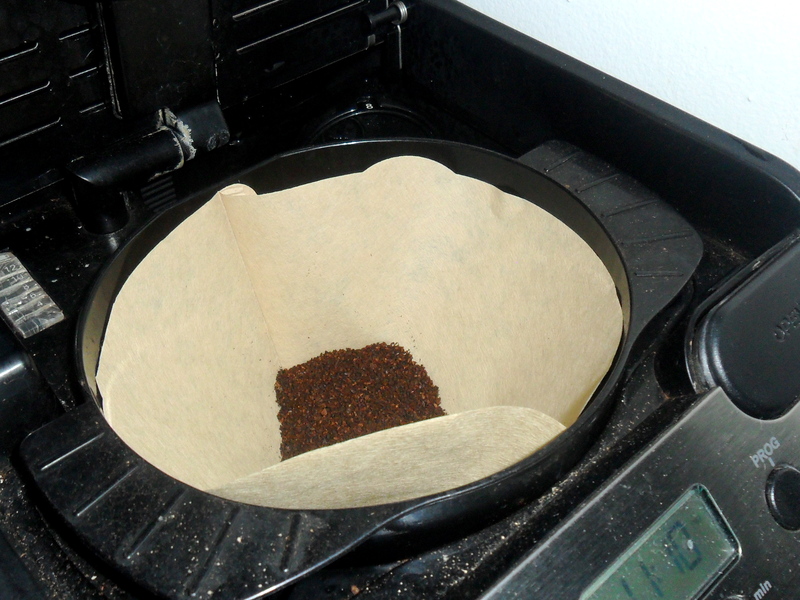 Sprinkle your spices right on top of the coffee grounds when preparing to brew. You don’t even need to mix! Other spices you could use could include all spice, pumpkin pie seasoning (or any kind of pie seasoning really), nutmeg, ground vanilla, or ground cocoa. Go nuts and get creative! The flavor is so much better when it’s brewed with the grounds as opposed to just adding it to the cup after. Next step is to identify a delicious but diet friendly cream option. I have tried probably a million different ones so if you have a question or need a recommendation… just ask! 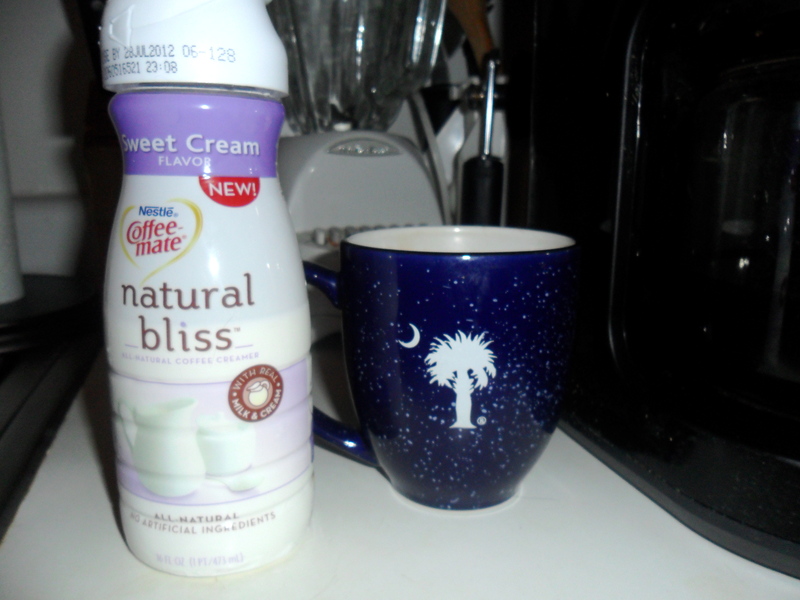 I am currently using CoffeeMate Natural Bliss in Sweet Cream at home, but I have the Light Vanilla version at the office. I love these because they taste great but are just milk and cream… no other weird non-dairy ingredients. I also try not to have a lot of artificial sweeteners in my diet, so this gives me just a touch of sugar / flavor without all the synthetic stuff. Other favorites include Blue Diamond Unsweetened Vanilla Almond Breeze, plain half and half, and the seasonal flavors of CoffeeMate (specifically Pumpkin Spice and Warm Cinnamon Sugar Cookie – which are sadly only available around the holidays).